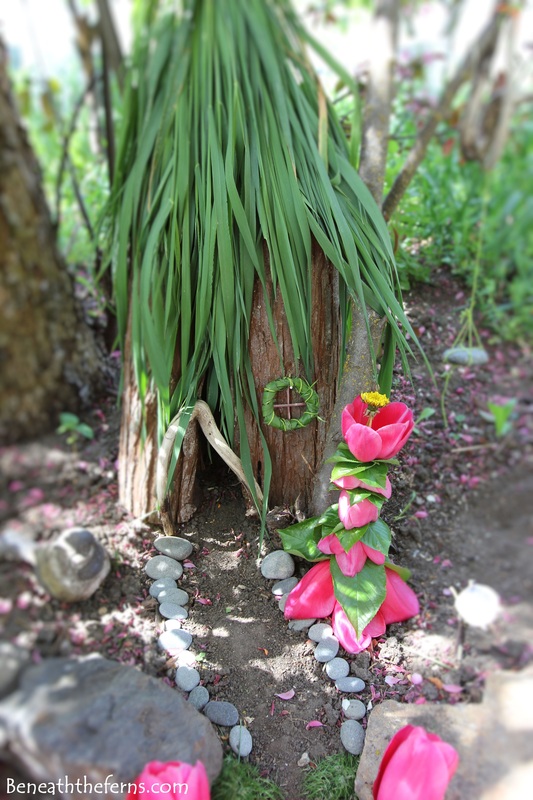 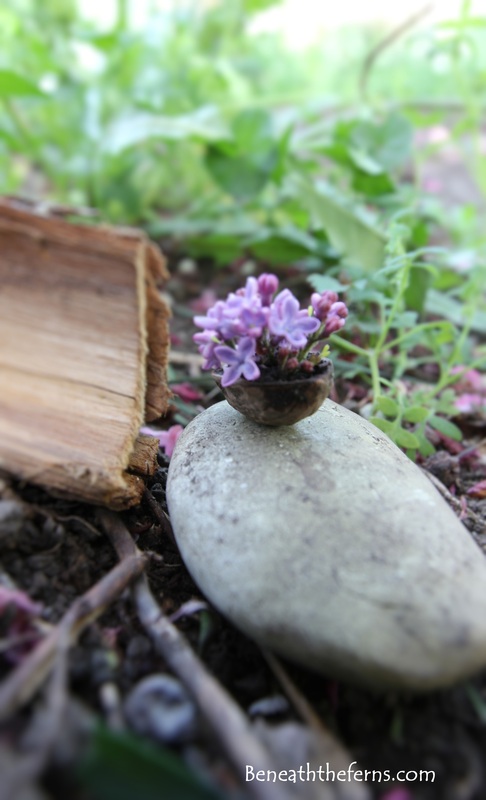 My two nieces recently came over, and had a fun time helping me create a fairy house and lots of accessories for the fairies to enjoy. 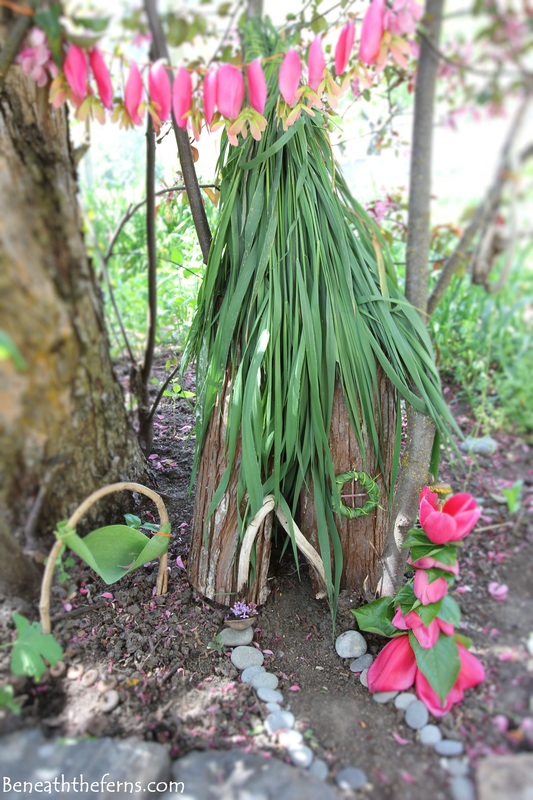 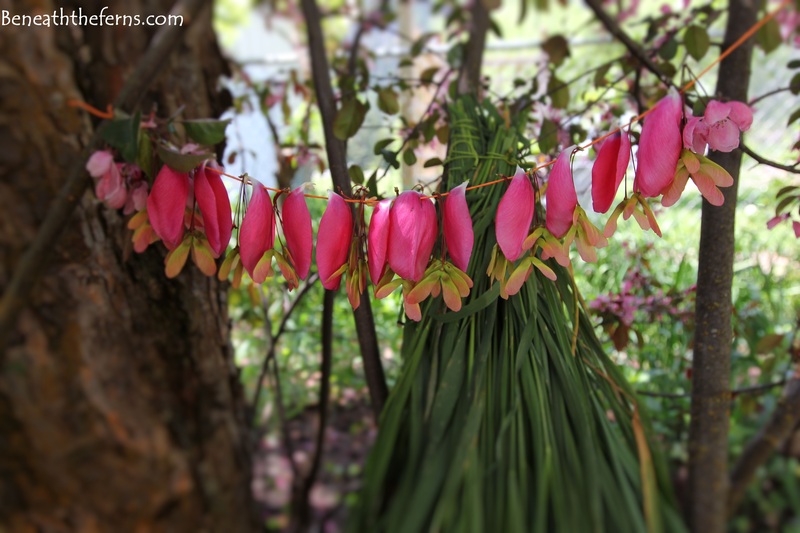 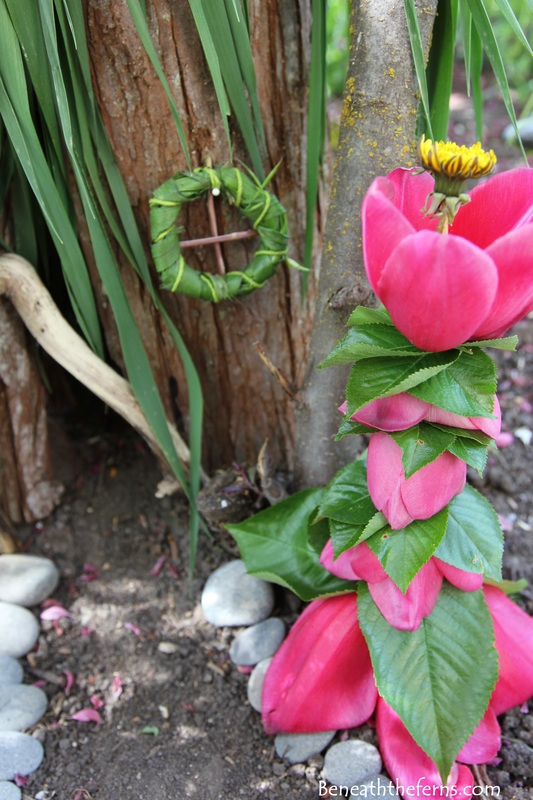 The tulips were in full bloom, and make a colorful addition to the fairy garden. 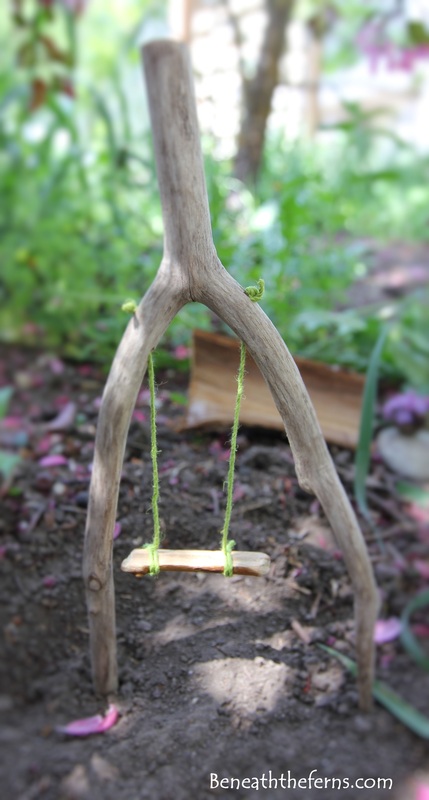 A little fairy swing for the fairies to play on. 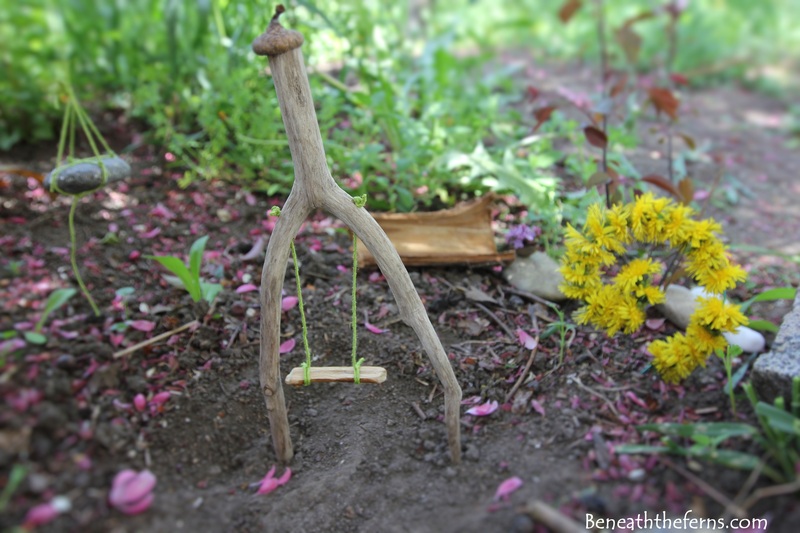 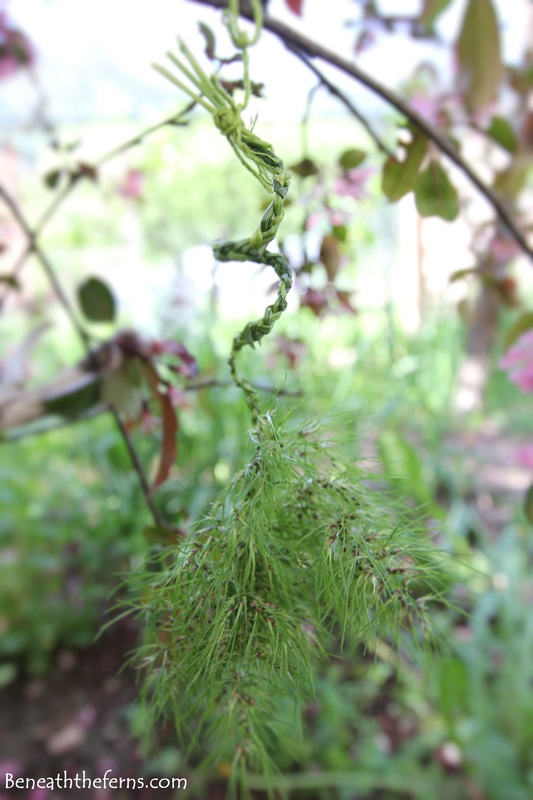 A fairy swing, a dandelion swirl, and a “tire swing” in the background made from a river rock. 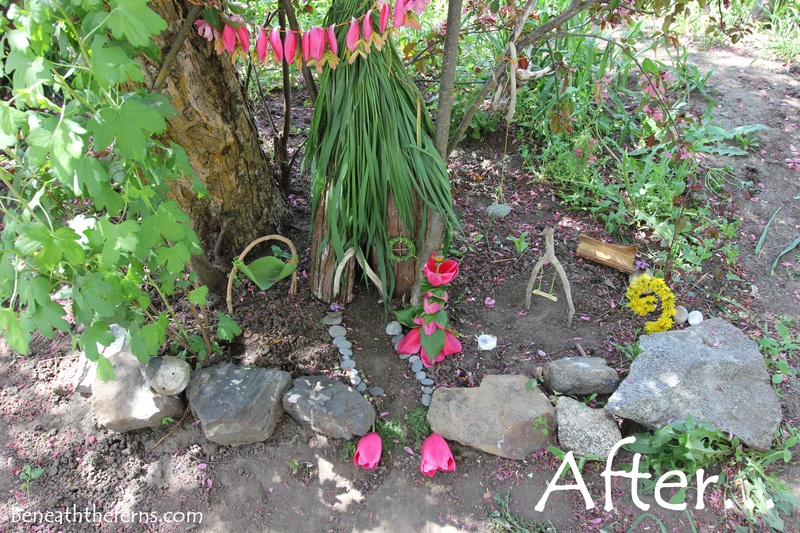 The finished fairy garden! 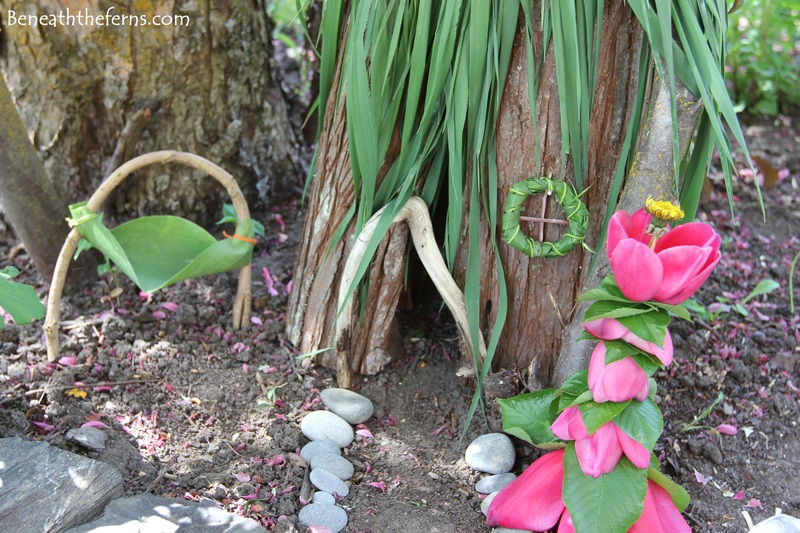 Everyone was so proud of their contribution, and it was the teamwork that made this spring day memorable! 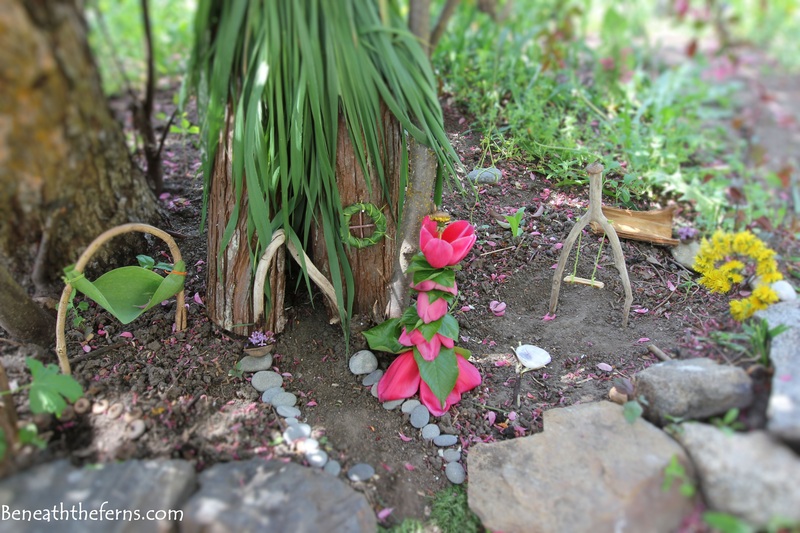 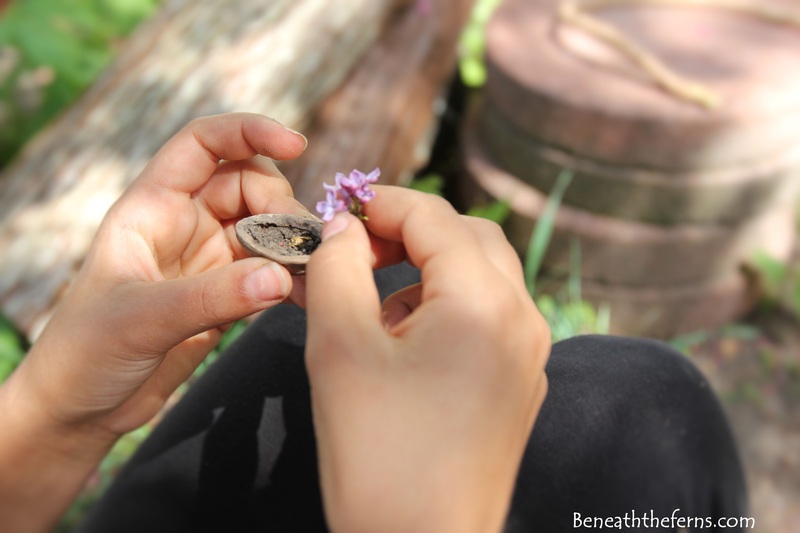 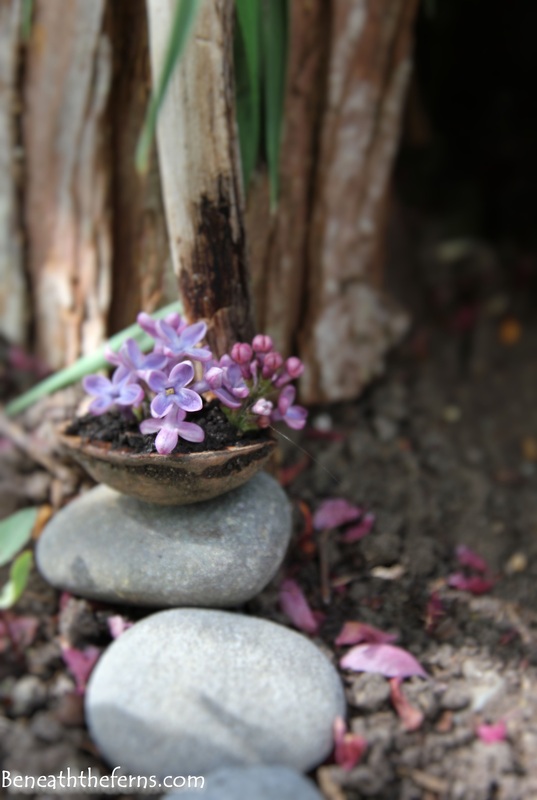 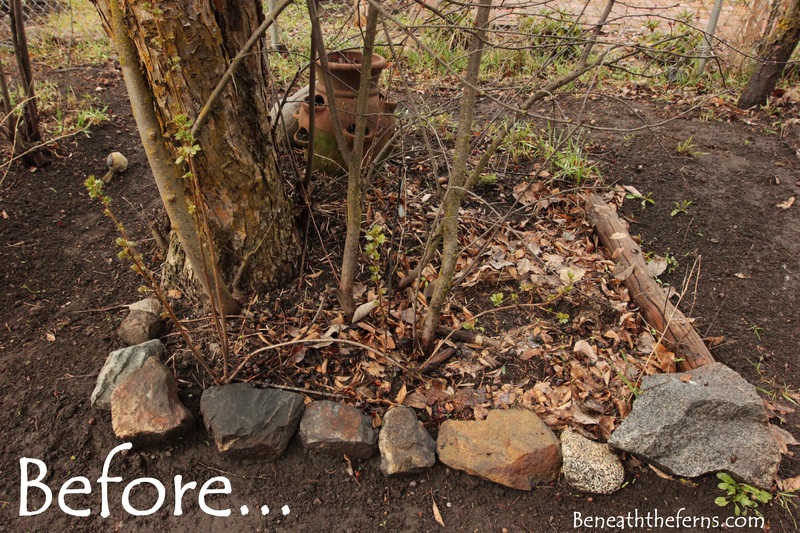 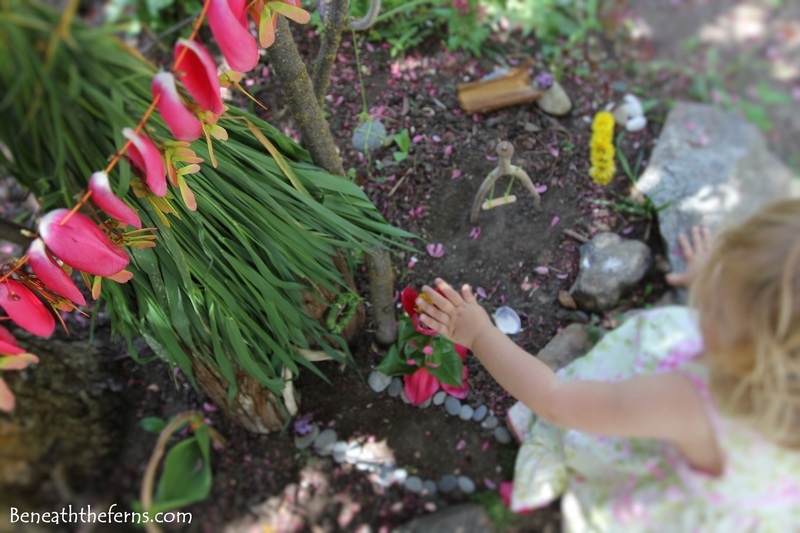 Thanks for reading, and have fun in your own fairy garden!